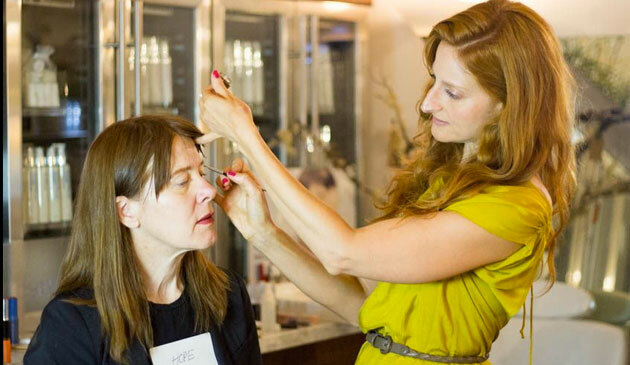 WANT TO LEARN a few tricks of the trade from a woman who preps A List gals on both coasts for award shows and light night fashion – I mean, talk – shows? Perfect. 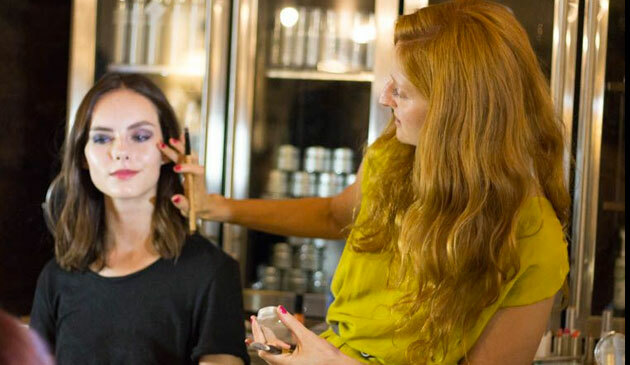 We’re talking to celeb makeup artist Katey Denno about all things natural beauty, and this one knows it all. 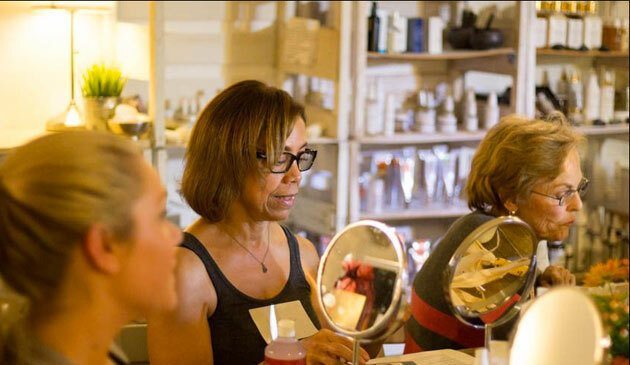 Katey is one of our go-to beauty consultants here at TCM and with good reason. She paints the faces of gorgeous gals like Christy Turlington (get the look), Isla Fisher (get the look,) Mindy Kaling, and Amanda Seyfried with her “mostly” natural beauty kit and creates looks so luminous she’s got half of Hollywood calling. 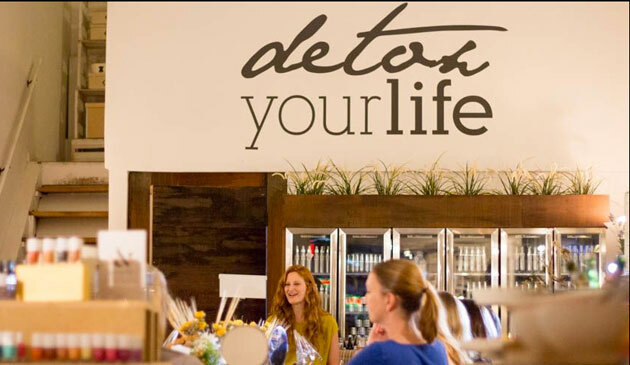 Recently we joined Katey for an evening inside West Hollywood’s The Detox Market for a green beauty workshop extraordinaire. 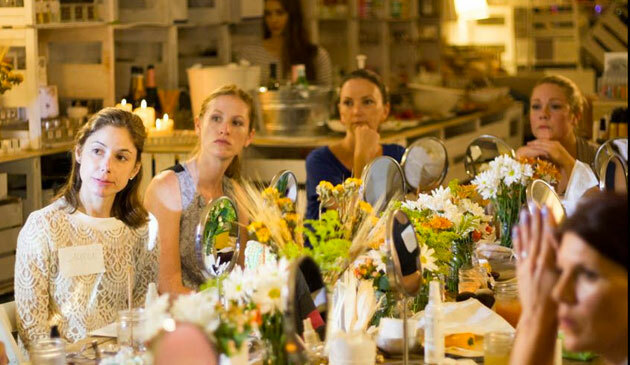 Along with a dozen wellness-minded ladies ready to take thorough notes on paper and face, we sipped on Pressed Juicery mimosas and watched as Katey created look after look with some of our favorite natural brands. THE CHALKBOARD MAG: In the workshop you talked about ingredients to avoid. What are the 3 that top your list? KATEY DENNO: Fragrance/parfum; sodium lauryl sulfate/sodium laureth sulfate (SLS/SLES); and oxybenzone. KD: I absolutely agree. 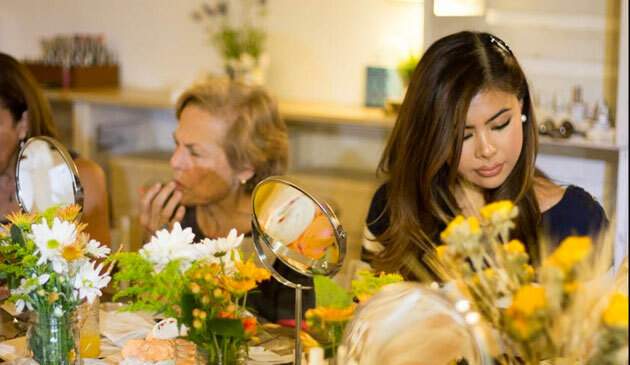 We’re fortunate to be alive in a time in which a number of (mostly women) decided to forge ahead and find ways to make beauty products safely – and the options from which to pick are growing daily. My current go-tos include: Lina Hanson body oil – this blend is deliciously fragrant and has transformed my skin. I use it on my clients before they walk the red carpet all the time; YULI face oil – another oil blend that’s transformed my sensitive, outbreak-prone skin beautifully; Tammy Fender eye cream – I’ve been an eye cream user since age 17, and this one is one of the best I’ve ever tried. Tammy’s line is magical; Burt’s Bees lip crayons are super pigmented and rich in colors that are both classic, and right on-trend; and Kjaer Weis eye shadows – they’re the most blendable and incredibly beautiful of all shadows I’ve tried, with just the right amount of shimmer. TCM: You’ve got a ton of celebrity clients. Are there any products your girls are really loving right now? Thank you so much for coming to class, and for having me on thechalkboardmag.com! Special thanks to our beautiful model, Anna Crysell.